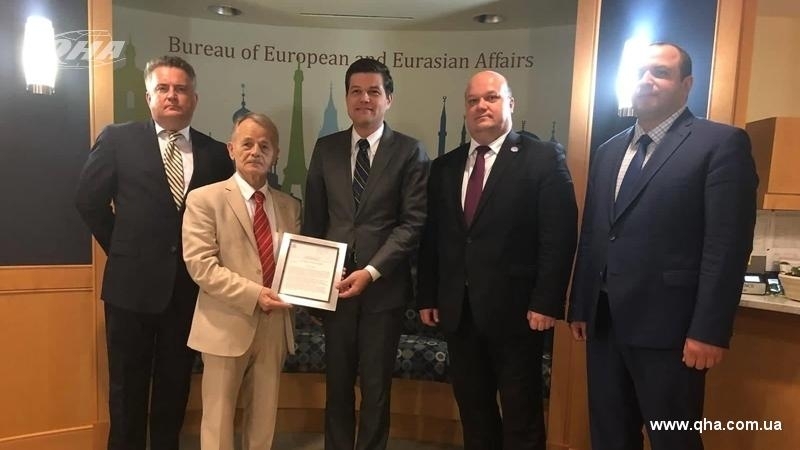 July 25, Assistant Secretary of State for European and Eurasian Affairs Wess Mitchell met with the leader of the Crimean Tatar people, the Presidential Commissioner of Ukraine for Crimean Tatar people Mustafa Dzhemilev. The US Special Representative for Ukraine Kurt Volker reported about the meeting on Twitter. Volker noted that the parties discussed the Declaration on the non-recognition of the annexation of Crimea, which was filed by US Secretary of State Mike Pompeo. Mustafa Dzhemilev spoke about the violation of human rights on the annexed peninsula and called on the international community to "do more." Earlier, the US Secretary of State Mike Pompeo in his statement called "Crimean Declaration" noted that the United States will support the policy of not recognizing the annexation of Crimea by Russia until the restoration of Ukraine's territorial integrity.